Farrukh is a sales & (online) marketing specialist with a proven track record of setting up sales cycles and teams for (tech) startups and corporates. The quality of the delivered services are of paramount importance. The quality is continuously monitored and improved wherever possible. 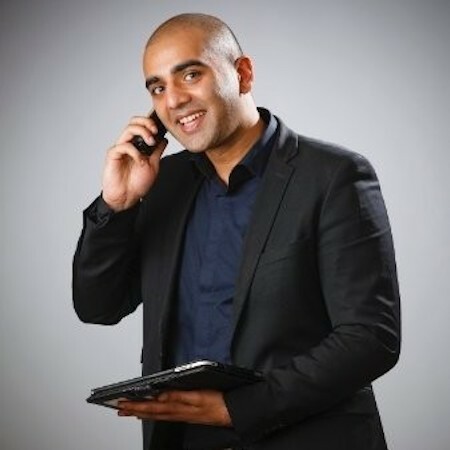 Farrukh studied marketing and after his study in 2010 he started working in sales. In his role of sales & marketing strategist for several businesses he has been responsible for managing sales and recruitment teams, formulating the strategic sales plan, defining workflows and reporting to the board about the progress. Farrukh also set up the platform Part-up for companies transitioning into self-organization. Part-up’s mission is to create the best teams ever. It enables organisations and individuals to organise temporary, non-hierarchical teams.